A mayor in Texas rose to unlikely national stardom several years ago when she began suggesting that radical Muslims were imposing Sharia Law in her town of Irving, the suburb previously known for hosting the Dallas Cowboys before they moved to a bigger stadium in another suburb. While that assertion may conjure images of people losing their hands or being stoned to death in Saudi Arabia, the truth was very different. What Breitbart News had actually discovered was the Islamic Tribunal, a Dallas-based nonprofit advertising “intra-community arbitration” for Muslims who would prefer to handle civil disputes privately rather than in court. That other religions such as Christianity and Judaism offer similar tribunals in accordance with their own religious laws goes unmentioned in the Breitbart story. The Islamic Tribunal’s “judges” -- in reality they are Imams -- repeatedly say that their decisions are non-binding and that they have no authority or intention of overriding American laws. Breitbart News acknowledges this but still implies without evidence that something more sinister is actually happening. “If the parties are not satisfied with the tribunal’s decision, they do not have to accept it and they can take the matter to Texas civil courts,’” Breitbart quotes one Imam as saying. “However, [the Imam] would not discuss what happens to someone who did not follow their rulings,” the Breitbart reporter adds ominously at the end of his piece. "Fight with every fiber ..."
Shortly after the story went viral, Irving Mayor Beth Van Duyne published a post on Facebook promising to look into the matter and to stand up against human rights violations. “While I am working to better understand how this ‘court’ will function and whom will be subject to its decisions, please know if it is determined that there are violations of basic rights occurring, I will not stand idle and will fight with every fiber of my being against this action,” she wrote in her post. Van Duyne’s words on Facebook catapulted her into right-wing stardom. She repeatedly appeared on Glenn Beck’s talk show afterward and sat beside him as he discussed issues such as the supposed importance of Irving to “Sharia law advocates." "Mayor Van Duyne closed down the first known Sharia court on American soil," another conservative news site inaccurately reported. "The Irving mayor was met with intense backlash for doing what her oath of office mandates -- following the law." The tribunal has not actually been shut down, and at a hearing before the Texas Homeland Security Forum earlier this year, Van Duyne pleaded with state lawmakers to investigate it. "I haven't seen any action at all. I am asking you as mayor, help me," Van Duyne had testified. "I need to get to the bottom and find out, are there people in my community whose rights are not being observed?" And on a speaking tour, she has given talks to crowds similarly concerned about being subjected to Sharia Law in America. “We have a civilized society that the rest of the world tries to emulate and wants to come to, and at the same time tries to destroy. And what we’re seeing is they destroy from within,” she said in one speech. And now, Van Duyne is reportedly moving up in the ranks and is possibly in line for a top post in the U.S. Department of Housing and Urban Development. Last week, she informally announced during a luncheon that she had accepted a role in the Trump Administration. Though she has not yet announced what that job would be, The Daily Caller, another right-wing news site, published a report Friday stating that Van Duyne was recently appointed to work under Housing Secretary Dr. Ben Carson, who had been touring the Dallas area last week. 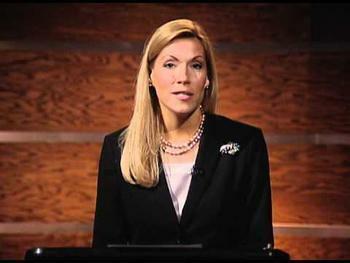 Van Duyne did not return messages left by ConsumerAffairs. “The mayor has been much busier than usual,” one person who answered the telephone for the City of Irving said. Only two mosques existed in north Texas when Imam Moujahed Bakhach arrived from Lebanon in 1982, he recalls. 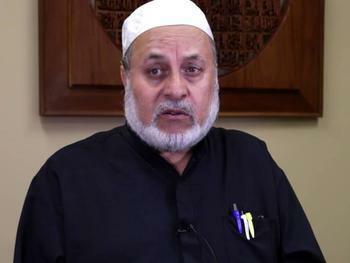 He quickly signed on to serve the rapidly growing Muslim population near his new home of Fort Worth, becoming the Imam for the Islamic Association Of Tarrant County that year, founding a school ten years later and serving as chairman for a local chapter of the Fiqh Council, an association for Muslims living in North America. “Now we have more than 86 mosques in north Texas,” Bakhach tells ConsumerAffairs. Despite being in the minority, Bakhach describes being welcomed as a religious leader in this stereotypically Christian and red state. Bakhach was the first Imam invited to the Texas House of Representatives as a “Pastor of the Day,” a tradition in which state lawmakers take turns selecting pastors from their district to lead each legislative session with a payer. Bakhach also currently volunteers for the Clergy and Police Alliance, an interfaith program in which clergy members accompany officers from the Fort Worth Police Department on calls so that they can console family members. “I’ve never been rejected,” from a stranger’s home on a police call, Bakhach says. He was also invited to lead the audience in prayer at the Fort Worth Stock Show & Rodeo several years ago and currently serves in the Mayor of Fort Worth’s Faith Leaders Cabinet, an interfaith advisory panel. “We are in debt to her as a Muslim community,” Bakhach favorably says of Fort Worth Mayor Betsy Price. Later that year, in November 2015, a crowd of armed protesters gathered outside the Islamic Center of Irving, a development that Bakhach blames Van Duyne for inspiring. In interviews outside the mosque with the Dallas Morning News, the shotgun and rifle-wielding protesters cited rumors that Muslims were sending death threats to Van Duyne and rumors of a Sharia law court in Irving as their reasons for being there. Van Duyne’s role in the Islamic Tribunal controversy would not be the last time that Irving’s relationship with its Muslim community would bring her into the national spotlight. Later that same year, 14-year-old Ahmed Mohamed was famously arrested at school when administrators and police claimed that they mistook a homemade clock he had brought in for a bomb. Mohamed’s father later filed a defamation lawsuit against Glenn Beck and Van Duyne, but a judge tossed out the case. Meanwhile, a spokesman for the Housing and Urban Development department said he had read the same story on Friday reporting that Van Duyne would be appointed to the housing agency, but he was not authorized to confirm whether or not it is accurate. “We can only talk about people that are federal employees and people who have been federal employees,” the spokesman tells ConsumerAffairs.